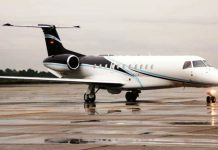 General Manager, Safety Management System and Quality Assurance, Nigeria Airspace Management Agency (NAMA), Martins Akaujobi has stressed the need for regular inspection of the runway and the aerodrome to ensure safety. He said that there is the need for at least one regular inspection to be conducted daily at aerodromes which are open for 24 hours operations, as soon as practicable before the first flight in the day. Akaujobi, who made the call while interacting with aviation correspondents said that such inspection should be conducted before the commencement of flying, at non-24 hours aerodromes. ” The aerodrome lighting should be inspected before the night flying commences. Unserviceabilities or obstructions observed during aerodrome surface or lighting inspection should be recorded on appropriate forms. “Where urgent attention is necessary, like in markings, lighting or immediate repairs, details should be passed to the responsible section, by telephone in accordance with local arrangement”, he stated. He noted that there has been great improvement in the safety of the runway,as incidences of incursions by animals and persons have greatly reduced due to regular patrol of the perimeter fences and surveillance. According to him, the runway is the bedrock of airside operations, adding that landing and take-off happened there. Most of the accidents that happen there is due to people’s carelessness. 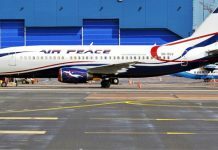 He said if people were more careful by ensuring that the runways are free from obstacles and incursions, that we will reap the benefits of seamless aircraft operations.